Yes, it’s about time to talk about choosing a good pair of goggles. It can be quite frustrating when you’re looking at the whole selection of goggles and you don’t even know where to begin. Here are some guidelines that can hopefully help in your future decision. It is definitely wise to try on the exact pair that you intend to buy. It would be horrific to make purchase only to realise that your new pair of goggles leaks. Here are 3 steps that can help you to judge the quality of a pair of goggles. 1. Test if the lenses are comfortable by pushing them against your eye sockets. This will give you a rough idea of how the lenses feel against your face and whether it will be comfortable enough for you. Normally, it will be more comfortable if the lenses are padded with gaskets made of foam, rubber or silicone. Ensure that the nose bridge doesn’t hurt as well. 2. Push the lenses harder against your eye sockets before releasing them. The goggles should stick for a few seconds from the suction, even without the straps on. If they do not stick, this is an indication that they will most probably leak water and turn out disappointing from what you’ve expected. 3. 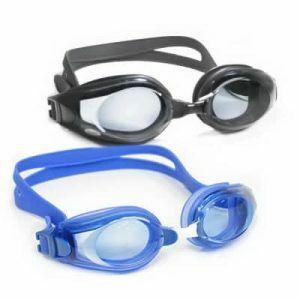 If the above two requirements have been fulfilled, put the goggles on with the strap to see if the goggles are still comfortable and fitting for you. Ensure that the lenses do not cause too much suction on your eyes and that the straps doesn’t tightened too fast. 4. Check the straps for two things: whether they are easily adjusted and if they get detached too easily. You won’t one to be at the pool trying to fix these problems instead of actually swimming right? 5. Does the lens cause your vision to be too dark or bright? 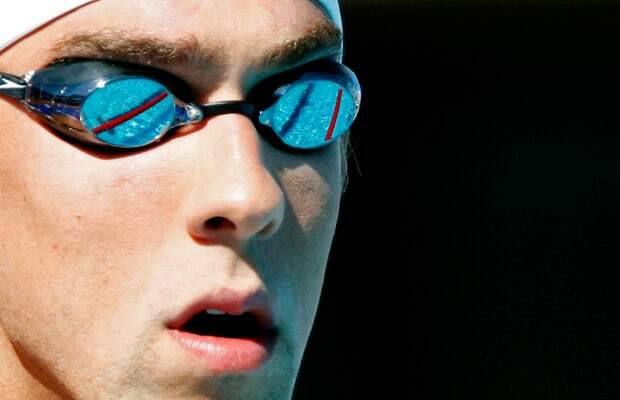 If you swim outdoors, then dark lenses will be recommended, but not to the extent of reducing your level of sight. 6. Get a pair of goggles with anti-fog coating. 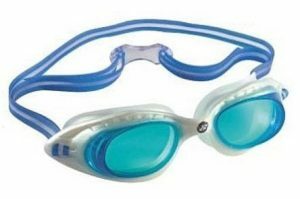 This helps in providing you with a clear vision throughout your swim. 7. Lastly, you have to feel comfortable when wearing those goggles. If you feel uncomfortable while wearing them, then it probably isn’t the right pair for you and you should try something else. Remember, it’s not about how attractive it looks, it’s about how comfortable and durable it is. If you’re looking for goggles for your child, feel free to visit Happy Fish’s swim store HERE to make your purchase! Those goggles looks comfortable to use, I like the design and the shape of it. I’m sure that will fit on to me, it’s good to swim using goggles that you’re comfortable with.